LONDON – The nominees for original music in the Bafta Film Awards announced this morning are Thomas Newman for “Bridge of Spies”, Ennio Morricone for “The Hateful Eight”, Ryuichi Sakamoto and Carsten Nicolai for “The Revenant”, Jóhann Jóhannsson for “Sicario” and John Williams for “Star Wars: The Force Awakens”. Bridge of Spies and Carol each received nine nominations. The Revenant is nominated in eight categories. Mad Max: Fury Road has seven nominations. Brooklyn and The Martian are each nominated six times. The Big Short, The Danish Girl and Ex Machina receive five nominations. 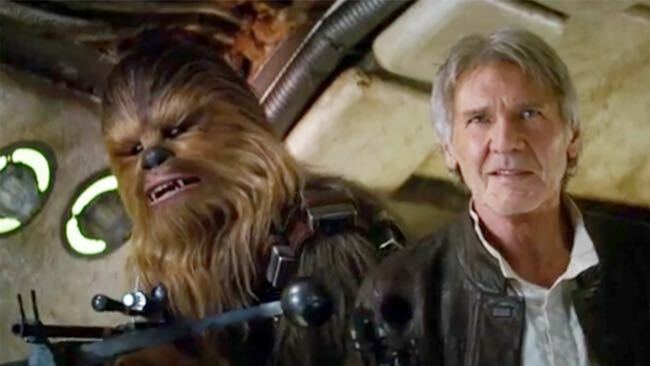 Star Wars: The Force Awakens receives four nominations. This is the 15th Bafta film award for Williams after he won first for “Jaws” and “The Towering Inferno” in 1976. His other wins were for “Star Wars” (1977), “Star Wars: The Empire Strikes Back” (1980), “E.T. the Extra-Terrestrial” (1982), “Empire of the Sun” (1987), “Schindler’s List” (1993) and “Memoirs of a Geisha” (2005). Morricone has been nominated for his sixth BAFTA Film Award for his music for Quentin Tarantino’s “The Hateful Eight”. He has won five times before with the latest honour in 1991 for “Cinema Paradiso”. He won previously for “Days of Heaven” (1980), “Once Upon a Time in America” (1984), “The Mission” (1986) and “The Untouchables” (1987). Newman has been nominated four times and won in 2013 for “Skyfall”. Sakamoto has received two nominations with a win in 1084 for “Merry Christmas Mr. Lawrence”. It is the first nomination for Nicolai. Jóhannsson was nominated once before, for “The Theory of Everything” in 2015. The Martian is nominated for Editing, Production Design, Sound, Special Visual Effectsand Director for Ridley Scott, with Matt Damon nominated for Leading Actor. Star Wars: The Force Awakens is nominated in Production Design, Sound, Original Musicand Special Visual Effects. Ant-Man completes the nominations for Special Visual Effects. Spotlight completes the Best Film nominees, with two further nominations in Supporting Actor for Mark Ruffalo and Original Screenplay. Also nominated in Supporting Actor isBenicio del Toro for Sicario, which receives two further nominations for Original Musicand Cinematography. Idris Elba completes the nominations in Supporting Actor for Beasts of No Nation. Amy receives nominations for Outstanding British Film and Documentary. Also receiving Documentary nominations are Cartel Land, He Named Me Malala, Listen to Me Marlonand Sherpa. The British Short Animation nominees are Edmond, Manoman and Prologue. The five nominations for British Short Film are Elephant, Mining Poems or Odes, Operator, Overand Samuel-613. This entry was posted in Film, News and tagged Bafta Film Awards, Carsten Nicolai, Ennio Morricone, Jóhann Jóhannsson, John Williams, Ryuichi Sakamoto, Thomas Newman. Bookmark the permalink.